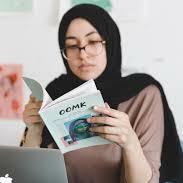 One of My Kind (OOMK) is a collaborative publishing practice led by Rose Nordin, Sofia Niazi and Heiba Lamara. Working together since 2014, we make, publish and distribute books and printed works which arise from self-initiated projects. We also commission new works by women artists and co-curate DIY Cultures, one of the UK’s largest annual independent publishing fairs. 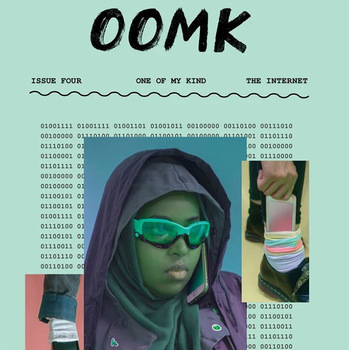 OOMK Zine is a highly visual, handcrafted small-press publication. Printed biannually, its content pivots upon the imaginations, creativity and spirituality of women. Each issue centers around a different creative theme, with more general content exploring topics of faith, activism and identity. With a focus on self-publishing and education, we founded and run a community Risograph printing press in East London, Rabbits Road Press. We also work with galleries, museums, educational institutions and self-organised groups to deliver workshops and produce collaborative publications. OOMK are currently based between Old Manor Park Library (Rabbits Road Press) and Somerset House Studios.